Bugaboo, was born on 12 January, 2009, in Sarasota, Florida, to friends of ours. His mother was a Boston Terrier and his father was a Pug, who is all black. 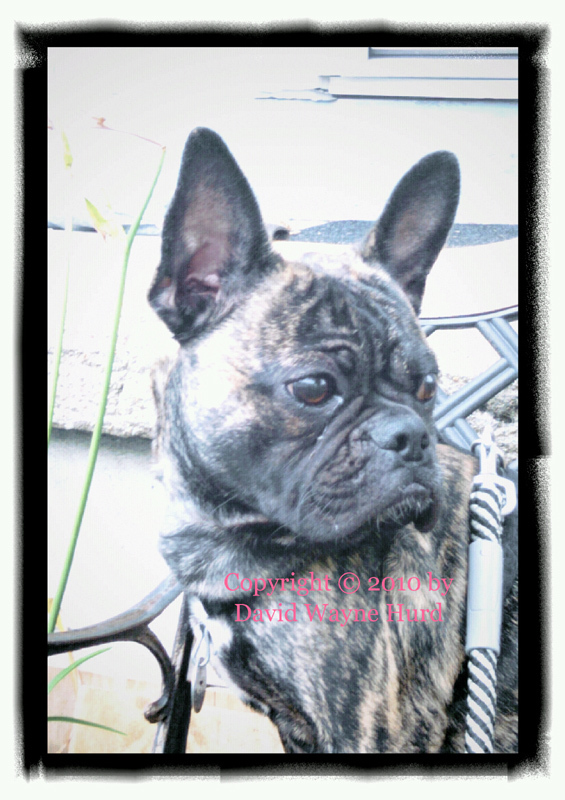 Bugaboo, as we call him, is brindle-colored. He was the runt of the litter, and because he is so short, everybody that sees him thinks that he is a French Bulldog. It got to the point that we decided to find out exactly what a French Bulldog is. What we found out is that Bugaboo is 2/3 of a French Bulldog, but he does have the bat ears that this bulldog is bred to have. 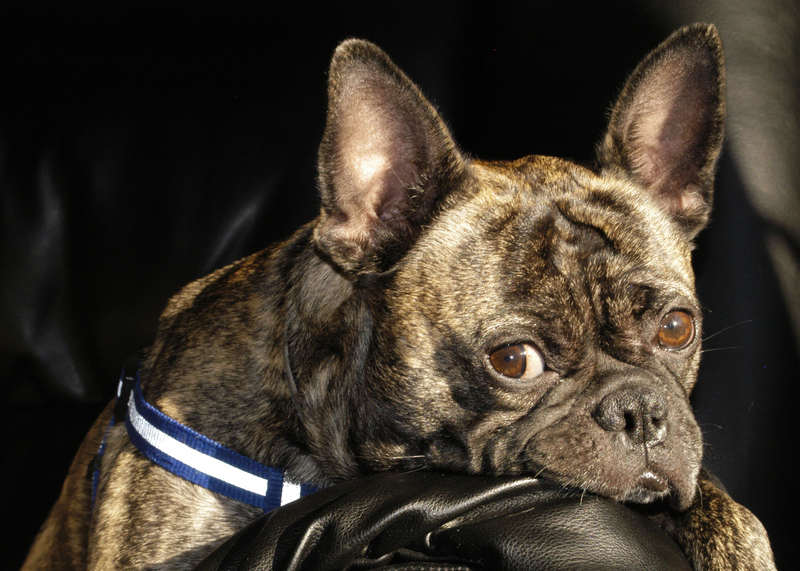 A French Bulldog would be a mix of Pug, Boston Terrier, and English Bulldog. Bugaboo, relaxing in the sun. 6 November 2011. Meet the Buggs - A Cross Between Boston Terriers and Pugs. It's easy to be overwhelmed with the cuteness of the Boston Terrier-Pug mix, but there's a lot more to this dog besides his adorable looks. DogAppy introduces you to the extremely cute and incredible Bugg. Renuka Savant. "Butch is a Boston Terrier / Pug hybrid shown here at 7 years old. Many breeders call Butch's breed a Bugg or Buggs, although Butch's breeder called him a Pugin. Butch has been a service animal for almost 4 years and he is very good at it. Butch doesn't do naughty things. Boston Terrier Pug Mix â€“ Is The Bugg The Right Dog For You? Bug Boston Terrier Pug Mix Grooming and General Care. Both the Boston and the Pug have short, glossy coats that require minimal maintenance. The Bugg breed will require weekly brushing to remove loose hairs. Like with all breeds, you will need to clip their nails regularly. The Bugg is a cross between the pug and the boston terrier. As well as pugs, we also love boston terriers so that we even have a specific section dedicated to tattoos of this squishy faced breed. What is the Bugg dog breed? The Buggs are a cross between the Boston Terrier breed and the Pug breed. This cross (Boston Terrier Mix) is recognized by the American Canine Hybrid Club.Buggs are growing in popularity. They have a good temperament. They are playful, gentle, alert and they make great family dogs. Bug puppy boston terrier pug mix Ashley Steffen. Loading... Unsubscribe from Ashley Steffen? ... â™¥HANK The Boston Terrier Grooming Day! | Nicole Collet - Duration: 5:31. Dixie X Casper Bug Puppies 50/50 Pug/Boston Terrier . Born 3/22/2019. Available to their new home on May 18th. All babies will come with health guarantees, vet ... checked healthy, nails trimmed, dewormed, first set of shots and a baggie of puppy food. Located in makinen,MN; willing to meet for free depending on location. I have created this webpage to show-off our cute little Bugg, named, aptly enough, Bugaboo. Copyright © 2010-2012 by David Wayne Hurd, All Rights Reserved.